With no cords to trip over or tangle, these portable, battery-powered cordless rotary hammers are a good choice for drilling and hammering applications where you don't have access to a power source. 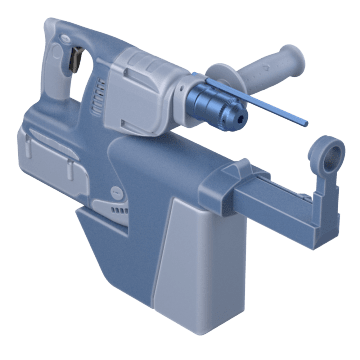 They have an SDS-Plus chuck and combine a powerful piston hammering action with the rotary motion of the impact drill bit to provide more force than hammer drills. 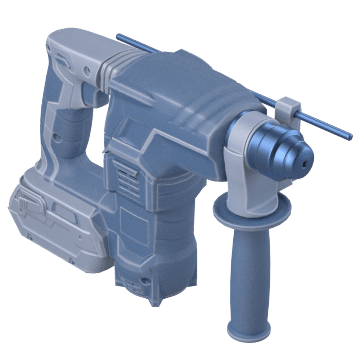 These general purpose cordless rotary hammers are typically lighter and more compact than rotary hammers with higher-voltage batteries, making them suitable for use in tight spaces. With batteries rated below 18V, these tools are powerful enough for most intermittent light to medium duty tasks. 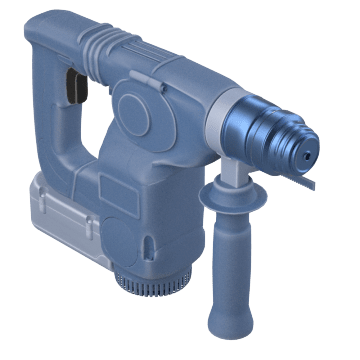 With batteries that are rated at 18V and higher, heavy duty cordless rotary hammers provide more power for frequent, continuous use and demanding applications than tools with lower-voltage batteries. These tools are typically heavier and less compact than tools with lower-voltage batteries. Choose high-performance cordless rotary hammers with brushless motors when you need a professional-grade tool. Tools with brushless motors are typically smaller and lighter than comparable tools with a standard motor, which helps reduce fatigue when using the tool for long periods of time. Brushless motors do not lose energy through friction and heat, making them more efficient and durable than standard motors. These tools are suitable for frequent, heavy use in construction and assembly operations. 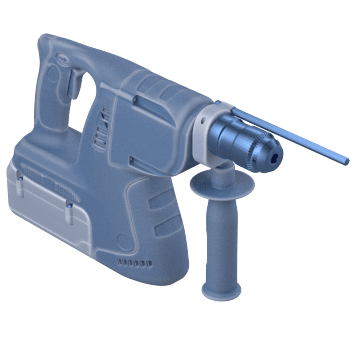 Often used for electrical and plumbing applications, these compact cordless rotary hammers can drill small holes and work in tight or recessed spaces. 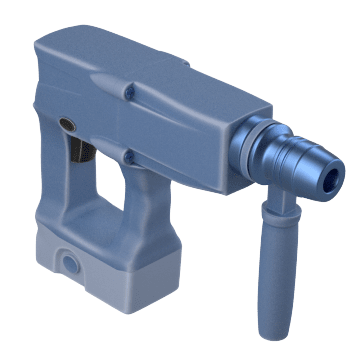 Compared to larger hammers, they help reduce operator fatigue in repetitive tasks or when using the tool for extended periods of time. 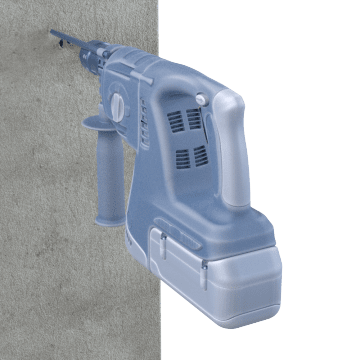 A built-in vacuum system on these cordless rotary hammers helps capture harmful airborne particles and dust created when drilling into materials such as brick, concrete, and masonry. For added safety, users should wear appropriate personal protective equipment such as dust masks and eye protection when using the tool.